Tales from a tribble: Wanna Get Away? On March 22, 2017 PBS News Hour with Judy Woodruff, former NSA director, Susan Rice, was asked about congressman Devin Nunes claim that same day that some members of the Trump transition were swept up incidentally in [legal] surveillance of foreigners and that some names were unmasked. While national security expert Eli Lake pointed out on the Hugh Hewitt radio show on April 4 that Woodruff's question to Susan Rice didn't mention the word "unmasked" specifically and was talking about Nunes claim generally, we have this answer from Susan Rice [From PBS News Hour with Judy Woodruff -You Tube video]: "I know nothing about this... I was surprised to see reports on that count from [Devin] Nunes today." But on April 3, 2017, just a couple weeks later we have this information from Eli Lake on BloombergView: "White House lawyers last month learned that the former national security adviser Susan Rice requested the identities of U.S. persons in raw intelligence reports on dozens of occasions that connect to the Donald Trump transition and campaign, according to U.S. officials familiar with the matter. 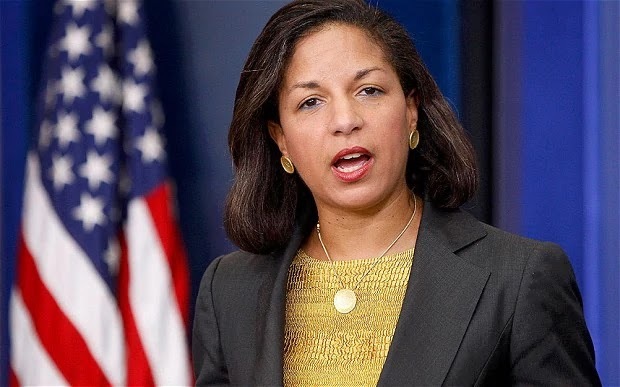 The pattern of Rice's requests was discovered in a National Security Council review of the government's policy on "unmasking" the identities of individuals in the U.S. who are not targets of electronic eavesdropping, but whose communications are collected incidentally."